Summary : Vietnam Adventure Cycling Tour of North East Vietnam offers cycling in Vietnam ,through a stunning unexplored area rich with cultural and geographical wonders. From Vietnam’s buzzing capital, Hanoi, we journey to the remote undiscovered Ha Giang region. Cycling hilly hairpin bends amongst slopes, ridges, valleys, and limestone karsts the outstanding natural beauty will take your breath away. Our tour ends with a visit to spectacular Halong Bay, the World’s largest marine limestone ‘karst’ landscape. We stay on a wooden junk, modelled on traditional Vietnamese sailing boats. A unique and outstanding seascape featuring thousands of limestone karsts and isles rises out of emerald green seas. The evolution of the Karst in the bay has occurred over 20 million years of tropical climate. Whilst research has shown the presence of prehistoric humans tens of thousands of years ago, most of the islands are uninhabited and rich with numerous species of flora and fauna. Vietnam’s beautiful and tranquil capital lies at the heart of the northern Red River Delta. It is a city of lakes, leafy boulevards that still retains an air of French colonial elegance. Its fine coffee and perfect baguettes have led some to call it the ‘Paris of the East’ but it roots go all the way back to AD 1010. On arrival in Hanoi, you will be met and transferred to our hotel in the old quarter. This afternoon you have time to look around the city before a group meeting this evening with your guide. Today you have time to enjoy the sights of Hanoi’s old quarter. This ancient part of Vietnam’s capital city is a maze of narrow cobblestone streets each named after a trade or guild. Nowadays it is lined with tempting restaurants, guest houses, shops and cafés but the past never seems far away. This is a charming place to either unwind or visit some of the many attractions, the most popular being the Ho Chi Minh Mausoleum. This evening after we have had dinner, we will take the night train to Lao Cai, the border city to China. This is the principal town in Lao Cai Province in North Eastern Vietnam, bordering Yunnan province, China. The border was closed from 1979 –1993 following war with China and the town mainly consists of modern architecture constructed since then. The town is now a popular destination for those journeying between Hanoi or Sapa and Kunming in China, and a key trading post. We will arrive at around 6.30 am and have breakfast in a local restaurant. 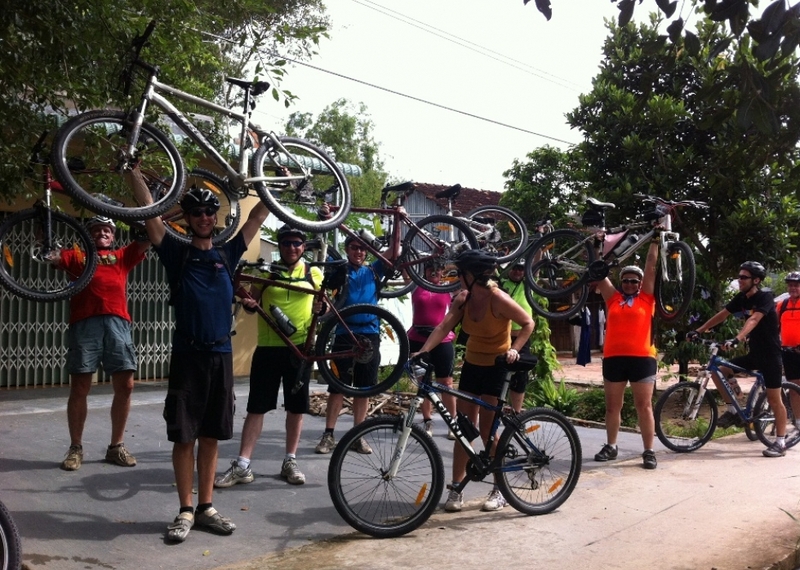 Our cycling begins with 45km on gently inclining sealed road towards an uphill route over the mountain pass to Bac Ha. As we cycle up to the pass the final 15km are a tough 800m climb on unsealed road as the terrain becomes more challenging. Our efforts are rewarded with panoramic views of surrounding mountains. Bac Ha is famous for the delicious plums that grow in forests on the hillsides. 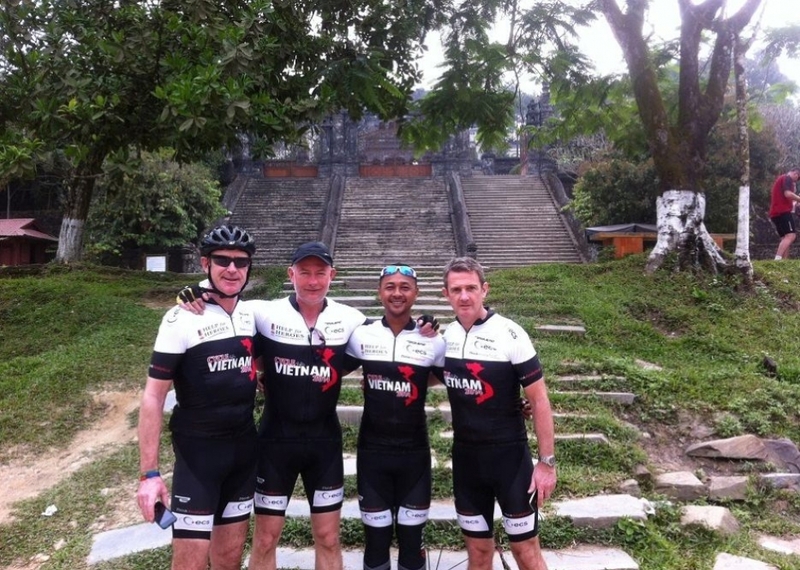 We’re back on the bikes today cycling to Xin Man. Our route takes us into some of the remotest areas of Northeast Vietnam. The ride begins with a 10km climb of around 400m on newly sealed road before we turn off onto unsealed rough track for the next 15km heading into rural tribal areas. Then it’s a massive descent of 1000m to Xin Man. Located right on the Vietnamese/Chinese border Xin Man is hidden away in a landscape of wild mountain and forest and inhabited by 15 ethnic groups including the Nung, the Flower H\'mong, the Tay, La Chi, Kinh, Hoa. 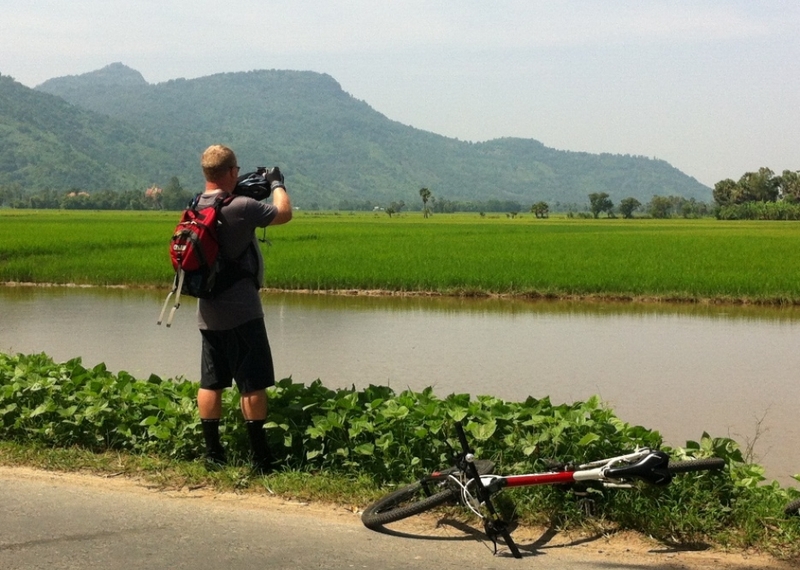 After lunch we cross over the river Cahy for 40km of cycling along quiet road; there is a gentle incline as we approach Hoang Su Phi. 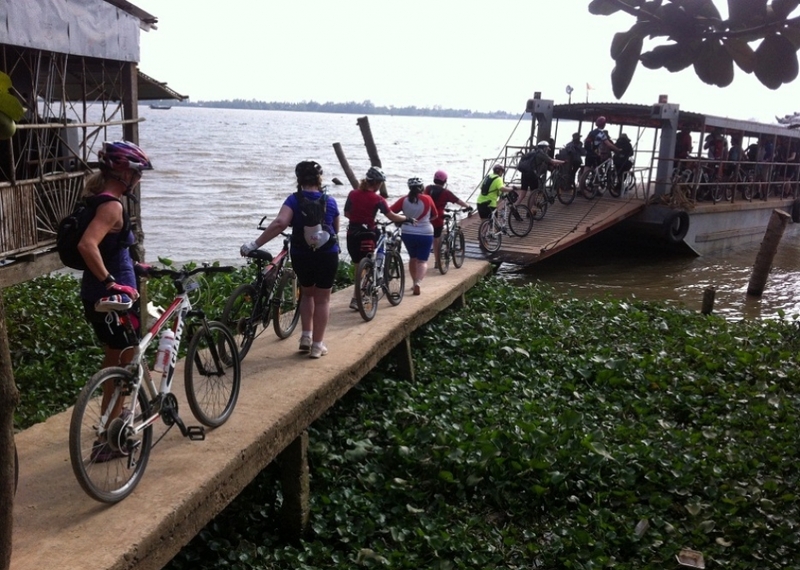 We encounter some rough sections of road along the way but are rewarded with beautiful views of the river. Hoang Su Phi is one of the most untouched regions of Vietnam and communities have lived in total isolation from mainstream society until very recently. At an average elevation of 800 m above sea level with high mountains, deep valleys, streams and forestland, it is an area of outstanding natural beauty and unspoiled traditional life. 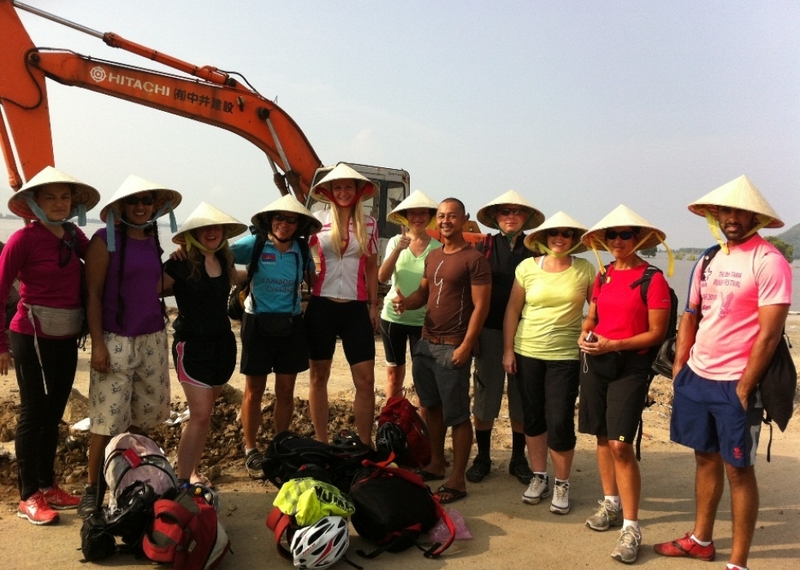 Today we undertake the challenge of cycling over the ‘Heaven Gate 2’ mountain pass +895m, en route to Tan Quang. The pass offers stunning views beneath a wide open sky. You really will feel on top of the world. 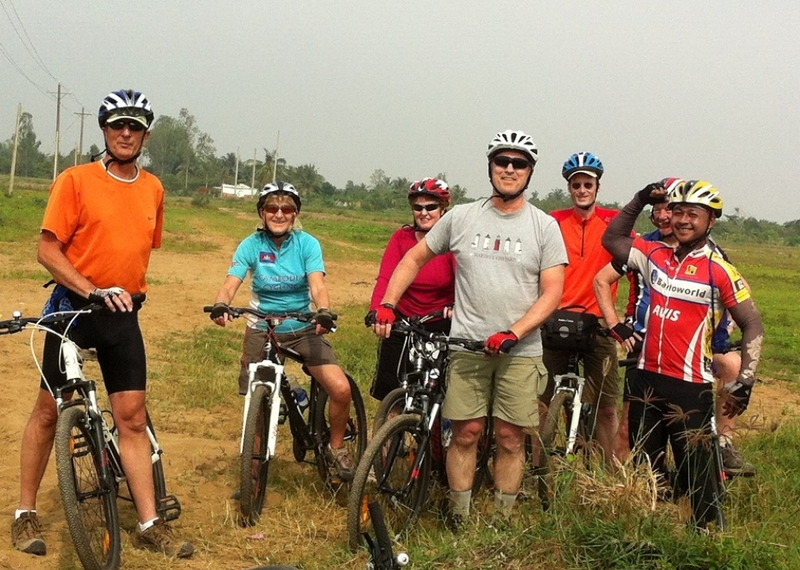 This afternoon we make our descent cycling past villages, rice and maize terraces cultivated by the Red Dao and Tay tribes. The aromatic scents of cardamom and star anise fill the air as we pass along our route to Tan Quang nestled down in the valley. 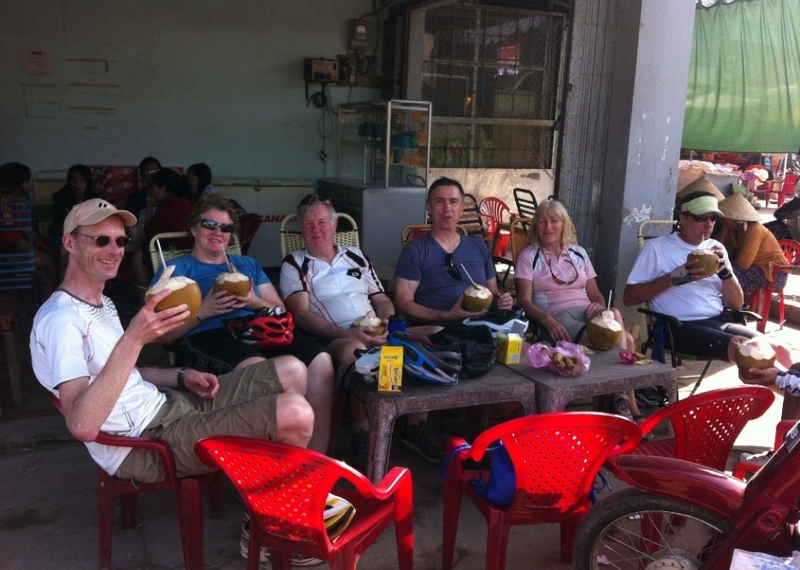 For the final stretch of this long day’s cycling we take it easy with a leisurely cycle of 46km along the Lo river bank through unspoiled countryside to Ha Giang the sleepy capital of Ha Giang Province and approx 215 miles (350 km) Northwest of Hanoi. This is the old Silk Road. Today we cycle on semi-surfaced quiet roads as we undertake a challenging uphill ride out of dense cedar forest onto the rocky Dong Van plateau. A registered UNESCO Global Geopark, 80% of the terrain is covered by rock and it is said to contain fossils from 400-600million years ago. Nestled in a valley in the heart of the Rock Plateau, is the isolated town of Dong Van, very close to the Chinese border and surrounded by mountain forest and multi-coloured orchids. Meaning ‘sharing culture’ Dong Van is occupied by Chinese Hoa, and H\'mong, Tay and Kinh People. The houses are built in Chinese style. There is a market daily in the town centre of Meo Vac used mainly by the White Hmong, Tay and Lo Lo hill tribes. Women dressed in their brightly coloured traditional clothing walk into the town carrying their bamboo woven baskets laden with corn and vegetables. Today we follow a remote mountain road to Bao Lac. 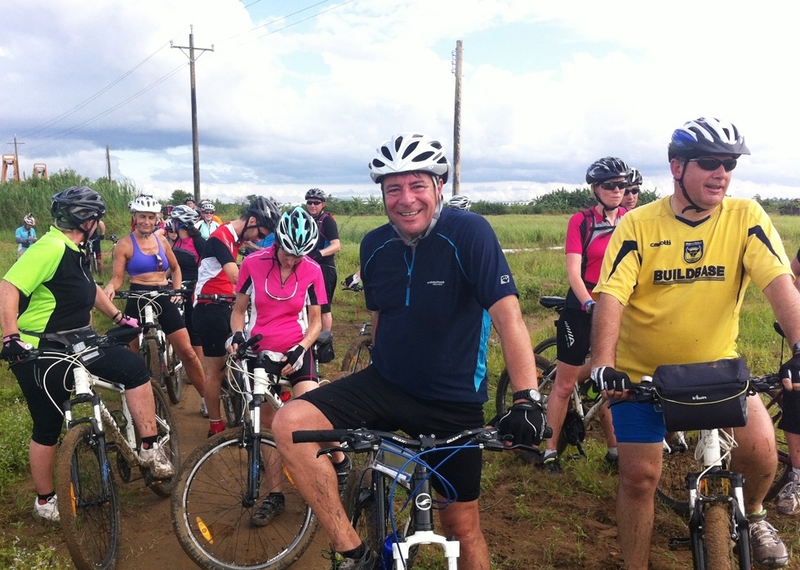 After a 5km uphill cycle we make a 20km descent the follow a fairly flat road for the next 10km. The surrounding landscape with predominantly limestone formations is a surreal vista of peaks, troughs, towers and caves. The crops and dwellings seem to perch precariously on the hillsides. There’s a relatively gentle uphill climb of 250m before we descend for the final 30km along flat terrain. We will pass people from the local minority communities along the way dressed in their vibrant tribal costumes. We stay tonight in Bao Lac. We transfer this morning to beautiful Ha Long Bay. This spectacular UNESCO World Heritage site is the world’s largest marine limestone ‘karst’ landscape. Travelling on a wooden junk, modelled on traditional Vietnamese court sailing boats, we will see some of the Heritage areas and quieter grottos and caves. You can swim fish and take a walk up hill for an unforgettable view over the bay. You will also have the opportunity to travel into some sea level caves in a small sampon. All meals will be provided on board (mainly seafood based). This morning we will cruise Ha Long Bay, and enjoy a late brunch. 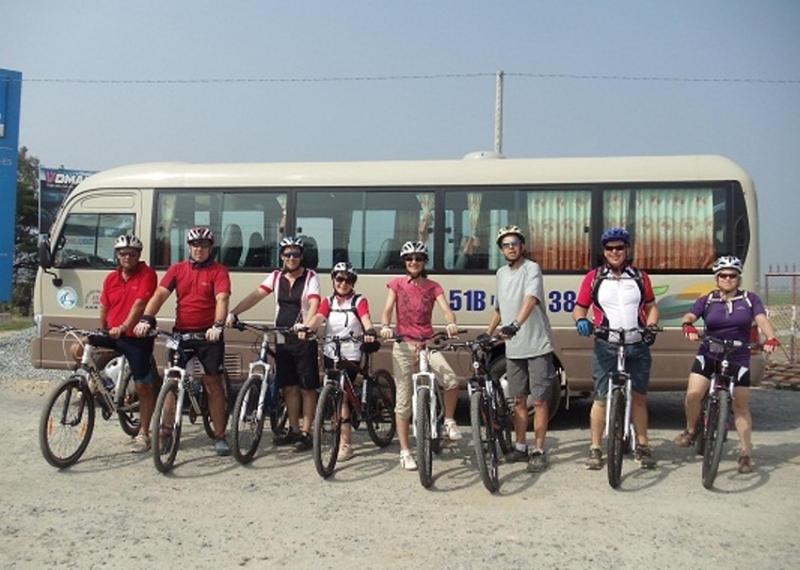 The boat trip finishes around midday and you will be transferred back to Hanoi to arrive late afternoon.